The North Atlantic portunid crab Carcinus maenas (Linnaeus, 1758) has invaded the North Pacific Ocean following more than two centuries of global dispersal due to human activities. C. maenas was first collected in San Francisco Bay, California, in 1989–1990, where its distribution and prey selectivity were investigated in 1992–1994. It has become abundant in shallow, warm lagoons (which as favorable and retentive microhabitats may have served as invasion incubators) and spread throughout the north, central and south bays. 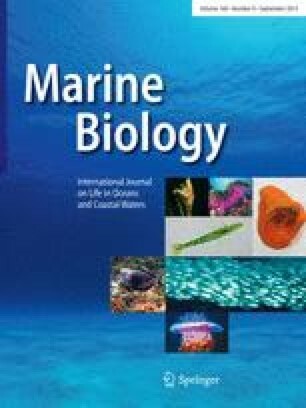 It may have arrived in ballast water, on fouled ships, amongst algae with imported live bait or lobsters, or by intentional release; genetic comparisons of the Bay population with possible source populations may aid in defining the transport mechanism. C. maenas' eurytopic nature, its high breeding potential, and its diet and feeding behavior suggest the potential for extensive ecosystem alterations through predator-prey interactions, competition, disturbance, and indirect effects. Although both negative economic impacts through reduction or disruption of fisheries and positive impacts of providing bait and human-food fisheries have been documented in a few regions, the potential economic impacts in San Francisco Bay remain largely unknown.